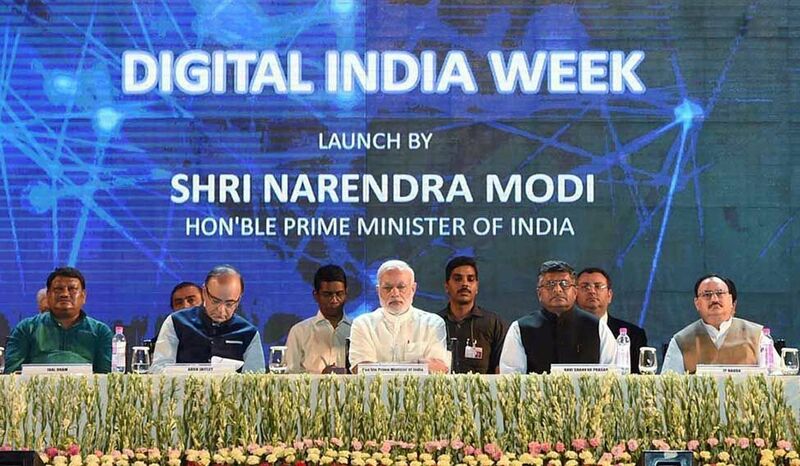 The Ministry of Health and Family Welfare won gold in the Web Ratna category in the recently concluded Digital India awards, 2016, conferred by the Ministry of Electronics & IT to promote more innovative e-governance initiatives by the government entities. Hon'ble Union Minister of Electronics and Information Technology and Law & Justice, Shri Ravi Shankar Prasad presented the award. 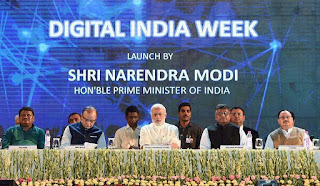 Digital India awards, earlier known as the Web Ratna Awards, were instituted under the Ambit of National Portal of India. The award acknowledges exemplary initiatives of various government entities in the realm of e-governance. Shri Jitendra Arora, Director, e-Governance, at the Ministry of Health and Family Welfare received the award. Web Ratna award felicitates a Ministry or Department of the Government of India which has a comprehensive web presence and display the level of accountability in terms of quantity, quality, spectrum of coverage, and innovation ascertaining user satisfaction. Level of convenience provided to the citizen for availing the services, usability and accessibility are also assessed. The website of the Ministry of Health and Family Welfare conforms to the UUU trilogy. It is totally bilingual as per the directions of Parliamentary Committee of official languages and is accessible to all. Special features have also been incorporated in the website for visually challenged users. The website complies with the mandatory requirements of Guidelines for Indian Government Websites (GIGW). Search has been facilitated using GOI Search as Service (SAS) available on http://searchservice.nic.in. All relevant web policies have been implemented with due approvals. Content has been grouped systematically under drop down menus that result in easy navigation. A well placed Content Management System (CMS) keeps the website regularly updated. The website and CMS are both security audited. It has been awarded for comprehensive web presence in Web ratna awards in 2014 and appreciated by SUGAM Web e-Newsletter as usable, user-centric and universally accessible. It is compliant with Web Content Accessibility Guidelines (WCAG-2.0). Social Media has also been integrated with the website.